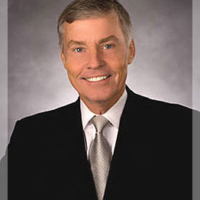 Dr. Jack Christie is the founder of Memorial Chiropractic Clinic and has been in practice for over 35 years. Dr. Christie’s passion for public service is evident by his previous tenure as Chairman of the State Board of Education and President of the Spring Branch School Board, and his current position on City Council. Please take a moment to tell us about your call. We strive to provide the highest level of service to you and those listed on the site. If the call did not connect we will be following up with the listing to ensure you receive a call. We could not connect your call at this time. We are however following of with them to ensure you receive a call. Please feel free to contact them via the direct message service and let them know about your case or questions. Why are you asking my name and email address? This is a call right?!? In our attempt to ensure the highest quality service for you and our Chiropractors we decided upon this process. After filling out the form we call Dr. Jack Christie and then connect you into the call, ensuring you don't end up speaking with an answering machine. We follow-up each call with an email to you and our listing to ensure you've both made contact succesfully. Read more about the process here. Find the best chiropractors in your area. © 2019 deciBel Publishing. All rights reserved.